and to someone else who took these photos back in 1974. 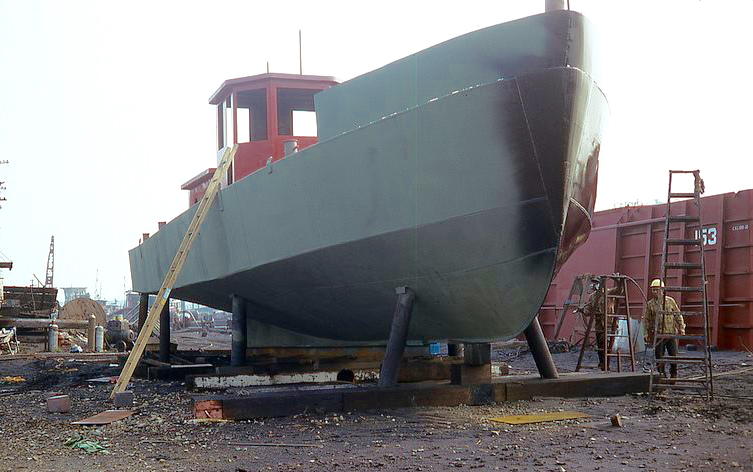 From what I can see in these photos, taken in the shipyard over in Jersey City, the lines are simple and very pleasing. 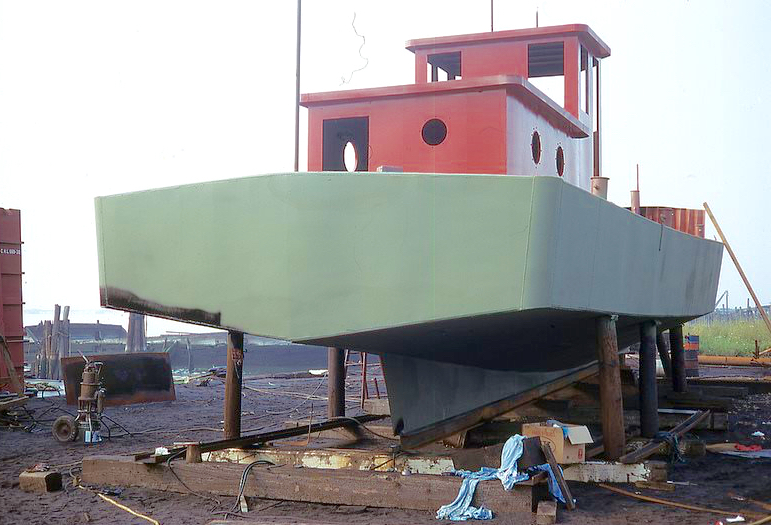 Of course, I can’t see the frames, and even if I could, I’m not a naval architect in any way shape or form. 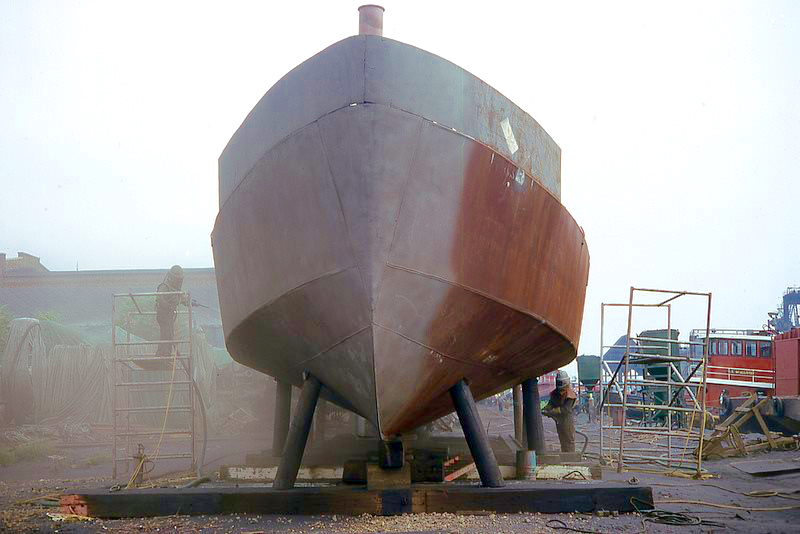 Here’s she’s had finish paint. Joe Weber was the yard foreman. Here’s a photo of Joe Weber at work in 1983, and here’s one of her at Miller Girls at work around 2006. 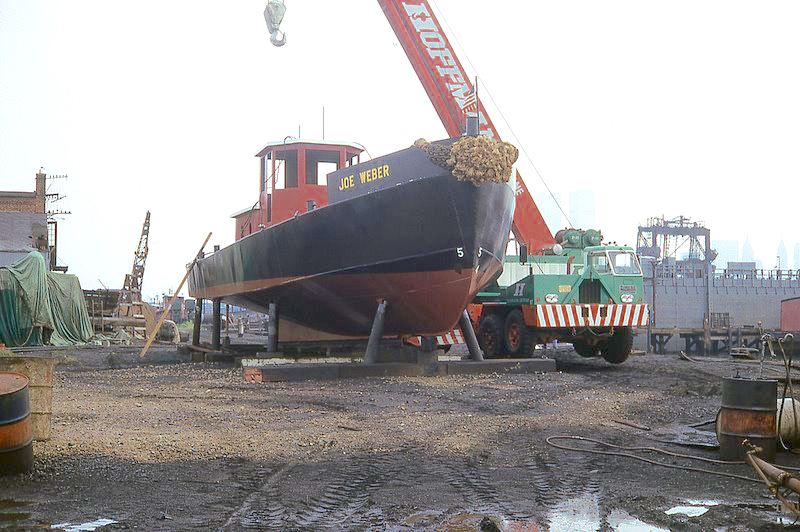 I took the next photo, below, in January 2007, thirty-three years after she was built. And my question is . . . since I have not seen Miller Girls in a long time, is she still around? It looks like some sponsons have been added. Photos this old qualify this as a “fifth dimension” post. Many thanks to Paul for passing these along. 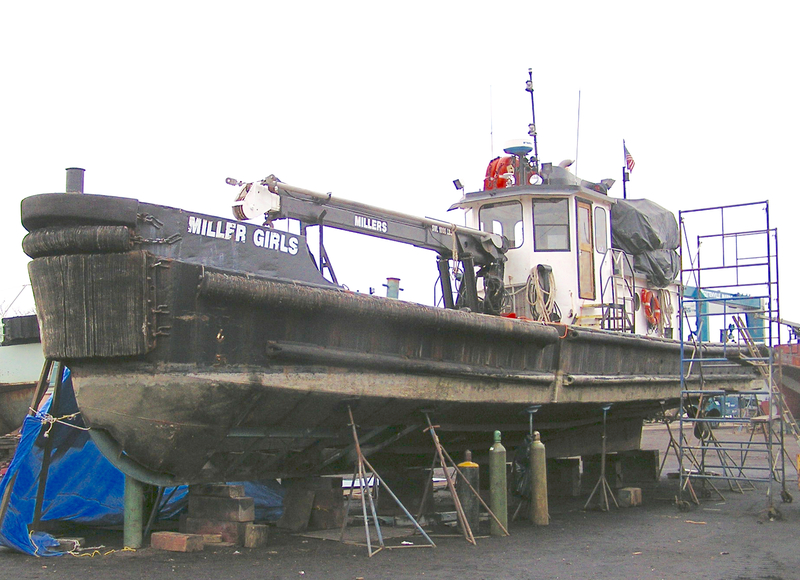 The Miller Girls (despite what the Coast Guard documentation site says) had its documentation renewed last August and its five-year inspection done last February, so it’s probably lurking somewhere around Staten Island. It is on the Miller Launch website, but oddly it carries the official number of the Nicholas Miller there.